Strum a ukulele and the children will flock to you. Davida Price learned this from the reception she received last summer while working in Northern Uganda. After hearing about the "night marchers" -- children who flee their homes each night to keep from being forced into the army -- Price and a fellow music therapist, Vanessa Contopulos, decided they had to help. 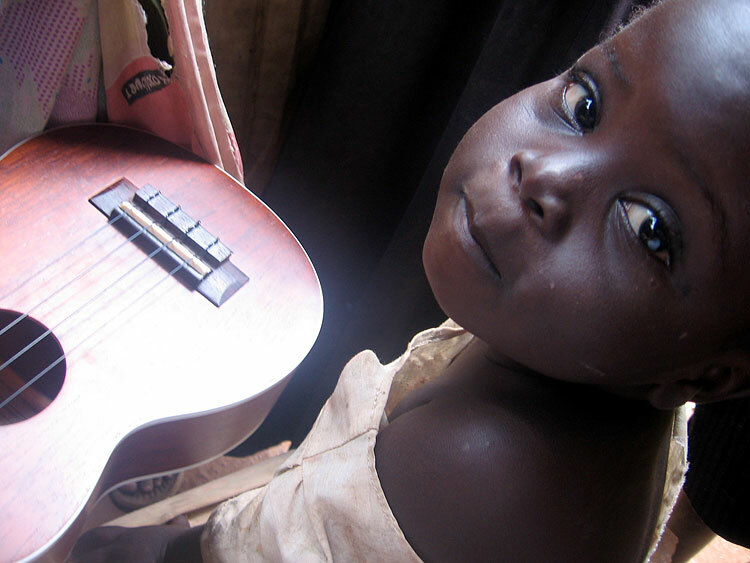 Price spoke about their project, "ChildSong Uganda," at last week's conference of the American Music Therapy Association's Western Region chapter, held at the Ala Moana Hotel. >> www.teachingchildrenpeace.com, for information on the Shropshire Music Foundation. 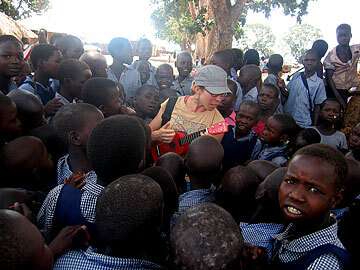 In her presentation, "Creating Peace Through Music with Children in War-Torn Areas," Price spoke of kids living in refugee camps for those displaced by the decades-long Ugandan civil war. Each night the children trek to "safe zones" where they're protected from abduction into the Lord's Resistance Army, she said. 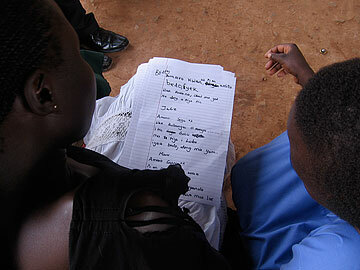 "For the child soldiers rehabilitated from the bush, it is a huge privilege to study and sit and rest. The children had a great appreciation for simple things." She and Contopulos, both from San Diego, trained 15 leaders to carry on their mission during their five-week stay. "They learned how to read and write music, how to play ukulele and penny whistles and how to teach others." And it's not just about performing. Music, she said, it inspires pride in culture, self-esteem, leadership and social interaction. She hopes to continue with programs in other parts of Africa, and notes that the need is great all over the world, including at home in the United States. She and Contopulos began their work with training, free penny whistles and teaching materials from the Shropshire Music Foundation, an agency that brings music education to children in war-struck areas. In these places, Price believes, people need a renewed sense of hope -- and music helps provide this. "They need it just as much as food and shelter. It reminds us of why we want to live, gives meaning to life and without this, the other things are just not as important."